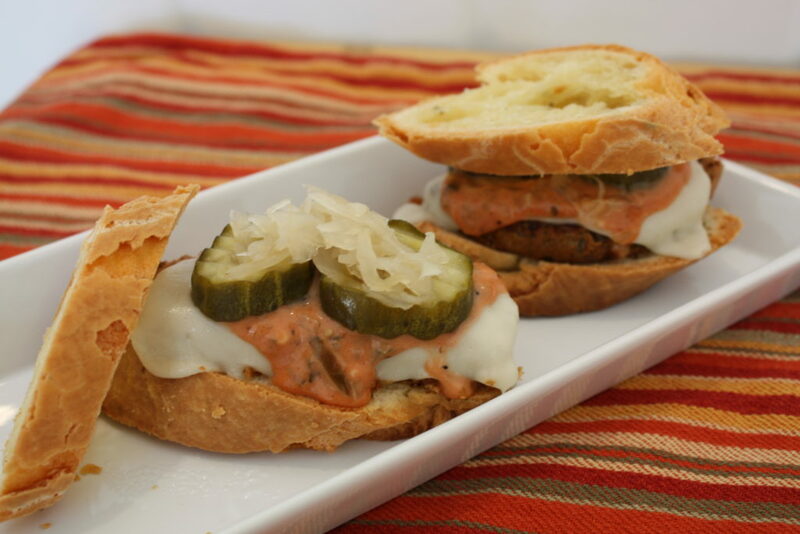 Gluten-Free, Plant-Based Reuben Sliders – This recipe is vegetarian and gluten free and can be made vegan with your choice of vegan bread. 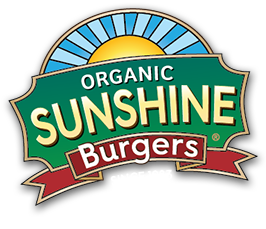 Made with certified organic, non-GMO, plant-based burgers from Sunshine Burger. A perfect appetizer for your health and diet conscious guests for football game days. So rich and delicious they won’t know it’s healthy! This recipe takes aprox. 30 minutes to make. variety. Microwave Sunshine Burger patties for 60 seconds before adding on top of bread. 2. Cook in a sauce pan or oven until cheese melts. 3. 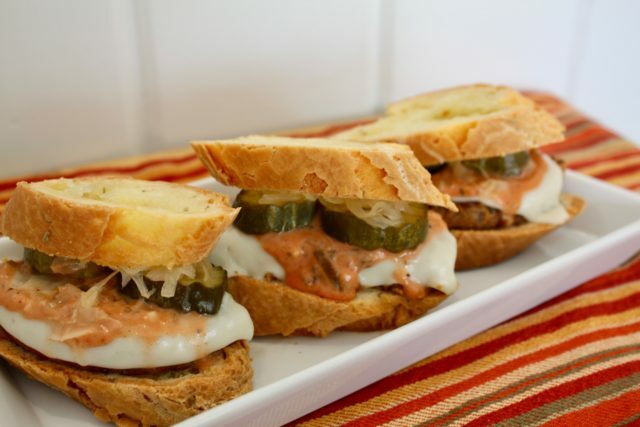 Top with Thousand Island dressing, sauerkraut, pickles and enjoy! 1. In a bowl, mix together all the ingredients until well blended. Dressing should be a nice pink color. 2. Adjust proportions as needed until desired taste is acquired. 3. Refrigerate for at least 20 minutes if you want a thicker dressing.